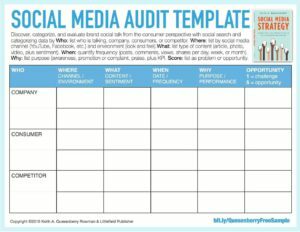 Everyone who works with the social media to improve their own business know that you need to pay attention to each of your accounts there. The basic rule about regular activity wouldn`t work if you don`t know what exactly you should do. People say that they want to achieve 100 000 subscribers in 2 months or, for example, get a 250 000 $ of income in the same period. Remember: it`s not how you should work with the social media. Why do we need social media plan? With such plan, you will understand how much time should you spend working with the social media, where are your main mistakes and how could you correct it. You also will know when and where you should post a certain type of content. 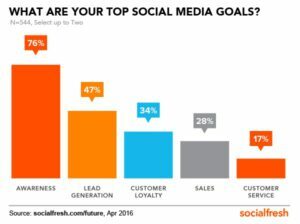 So, now we should concentrate on the main points of creating a social media plan. This point will help you to avoid mistakes we have mentioned in the first paragraph. If you are a beginner in social media marketing, you shouldn`t be very quick in your moves. Analyze the situation on the market, find out what trends are popular today. Your first and, probably, the easiest step will be creating an account in social media. You must show people what you can do and what can they get from you (goods or services). Give a strong description about your business, about product you are working on, something about yourself (clients won`t work with somebody who they don`t know). Pick up a right image for the page (an image of your brand). And, of course, give your social media page the right name. For example, if your business is a food delivery, you can mane the page “Joe`s food delivery”. Or, if you are a photographer, it can be “Mark`s photos”. However, don`t be pragmatic, think about an unusual name. Second, set contacts with potential clients. Remember that you`ve created a page not to chat with friends or watch cool videos. This is a part of a business, so be serious. If you see that people enjoy things you do, contact them. Offer assistance or ask them if something is wrong or should be changed. Why do you need this? Because client is your main target and you should do everything to satisfy them. The one model can`t work for the whole time. You must make regular changes (for example, twice per year) in your social media accounts. People want you to be active, so be active as much as possible and even more often that your competitors. It`s a very important part of a social media plan because images give us even more information than texts. However, to get the right effect from it, you should know what image should be posted in current post in current social media. To give you a better explanation of this point we will pick up the first category – giveaways. Your first step will be to choose the right photo for your future giveaway (it must show users an object that they could possibly win). It could be an image from the Internet or your own photo. In fact, the second variant is much better for you. Second step is to add a word “giveaway” to your image. Simple, but important step for every social media developer. If your clients scroll the news feed, he/she will immediately pay attention to an image with such inscription. That`s all what you need. Now you should only create a post, add this image and wait for the right moment to choose a winner. Returning to our point with right images, we should pay your attention to the size. It`s important, because users want to see the full picture and get some information from it. There are different standards of image sizes for each social media (Facebook, Twitter, Instagram, Pinterest). If you want to use infographic, you should create it on your own, because you will know the right size of all objects there. The next step in our social media plan is to work on your video content. Maybe someone will say that it`s the same as images and you should have mentioned it earlier. However, the topic of video content should be separated from the others and have its own place in the social media plan. Here we will offer you some basic kinds of video content that will help you to increase activity in the social media. Simple and smart way to attract clients. They don`t need to watch the video for the whole time or to concentrate on it`s main topic. They can just turn it on and start do something else. You get your traffic, they get needed information. 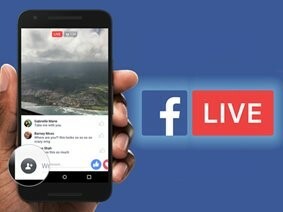 If you have a huge audience in the social media, you can make live streams to talk with them, to tell something about your business (updates, features). The main advantage of live broadcasts is that you can get an immediate feedback from the viewers. They could see your reaction and it will be just like a normal live communication. If your sphere has regular changes that must be followed, you can tell people about it. Why not? You are working it this sphere; your audience is interested in it. So, give them information that they need to know. You can create short videos (between two or three minutes) in one day every week. This will increase your page`s activity and, as a result, give you more traffic. As you see, creating a social media plan is a very tough process. You should prepare all your points and then form them into one structured plan. This plan is the foundation of your work in the social media, so pay attention to every detail. In the end we want to say that you will achieve success only through the hard work and patience. Believe us, it`s not so easy to work in the social media. However, if you have a strong list of objectives, you will get the result you always wanted. Good luck in your future projects!